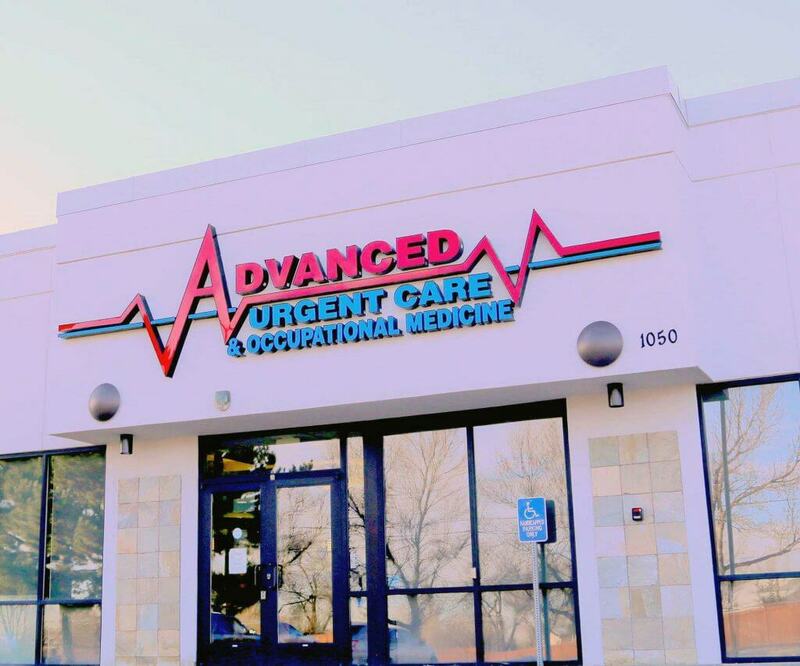 Looking for “urgent care near me?” Advanced Urgent Care & Occupational Medicine in Brighton, Northglenn, and Fort Lupton provides prompt and caring medical care for all of your urgent care and occupational medicine needs. We offer a comprehensive array of urgent care services to aid in the diagnosis and treatment of your condition. Most tests are performed in-house, with results available within minutes. In cases where we use an outside laboratory, results are usually available next day. We also have a 72-hour guarantee; If you are not feeling better within 72 hours of your initial visit, you may come back and be seen again at no charge. However, if the visit requires additional tests or labs, you will be responsible for those charges. We are here for you when you need medical care as an alternative to your primary care doctor or the emergency room for a non-life threatening injury or illness. In most cases, we provide shorter wait times and lower costs than the alternatives! You can view information about your visit, securely email your medical provider, and get test results via our patient portal. You can register to use our patient portal after your first visit. They were extremely helpful and made sure I was [taken] care of. I even received a phone call later from the doctor to make sure everything was well after [they] finished my treatment. They really do care at this facility.